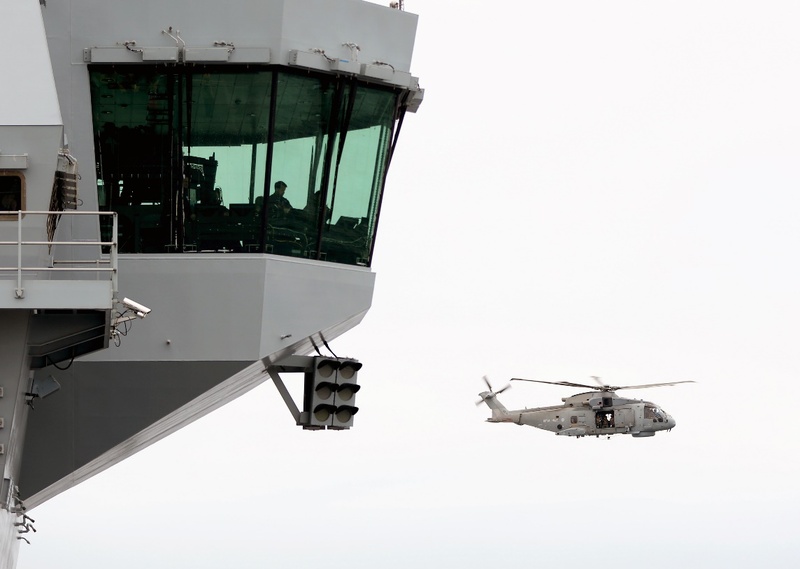 Sea Trials – First Merlin Helicopter Landing on HMS Queen Elizabeth. The 27th of June 2017 was a landmark day for HMS Queen Elizabeth as she sailed out of Rosyth Dockyard on her first sea trials, conducting a number of evolutions to prove conduct of air execution and navigation. These manoeuvres were supported by the key TEX ATC Division products of Flying Control Room (FLYCO) , Ship Windows, WIndow Wiper Wash System and Window Blinds. 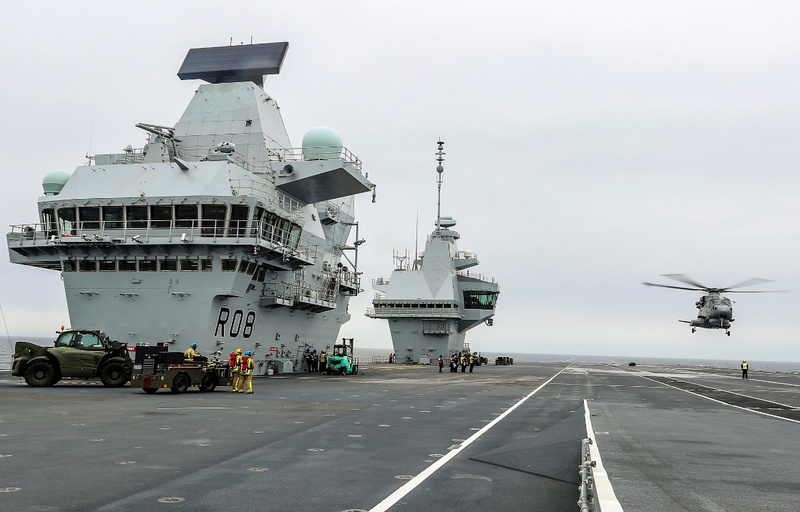 The FLYCO on the aft island consists of two cantilevered steelwork sponsons and a glazing system affording the Royal Navy an unparalleled, virtually uninterrupted, 290 degree field of view of the flight deck, aircraft lifts and the aircraft visual circuit pattern. It is a unique operating space, being a world first in the defence maritime environment. The FLYCO is the key ship compartment to conduct air execution to and from the flight deck, hangar and within the carrier control zone. Ship navigation is conducted from the navigation bridge located on the forward island.